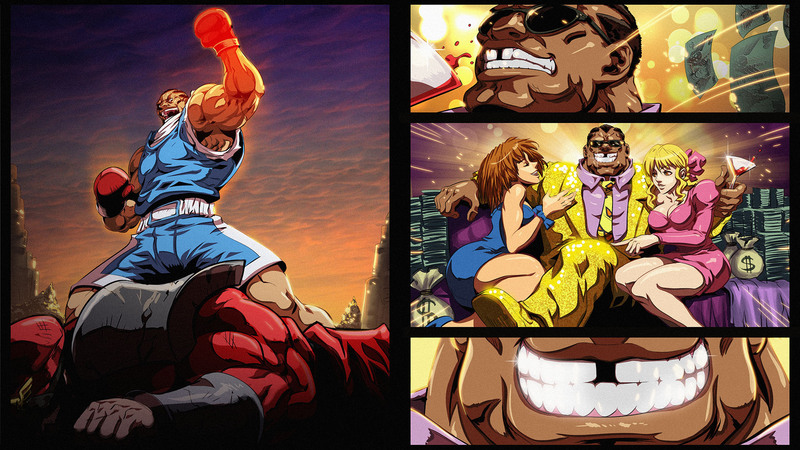 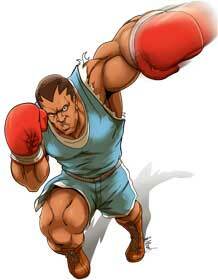 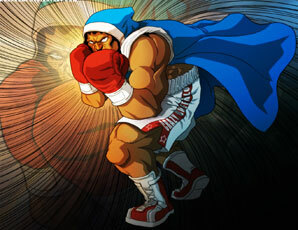 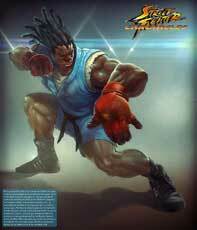 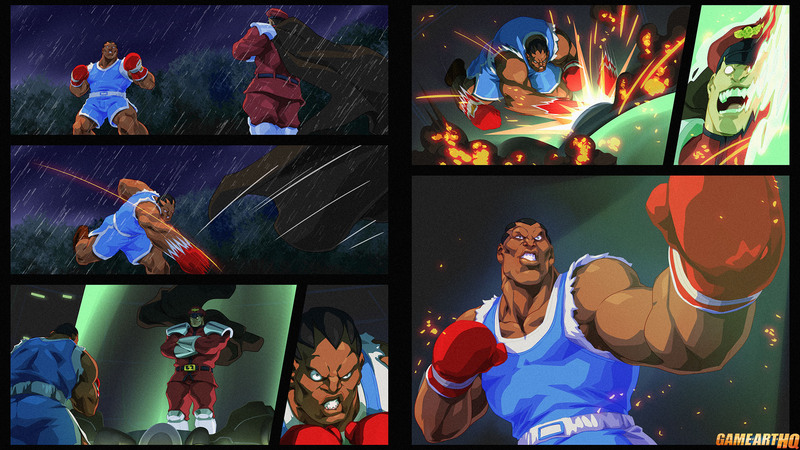 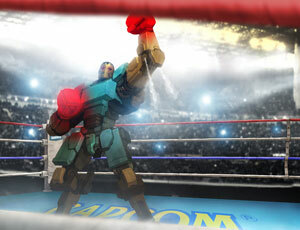 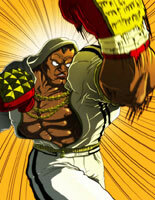 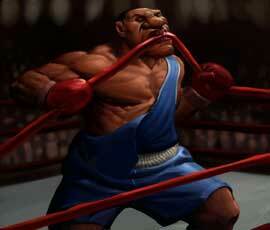 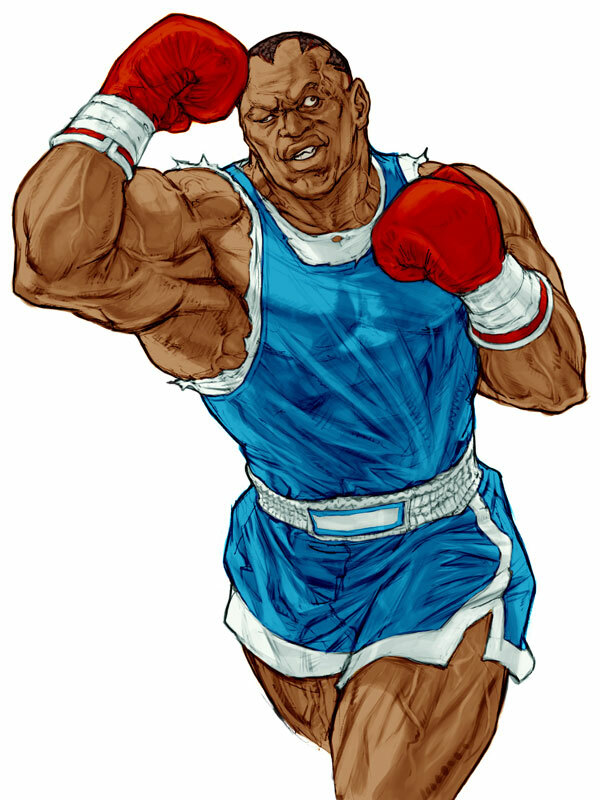 Balrog is the first boxing fighting game character and one of the four boss characters of Street Fighter II. 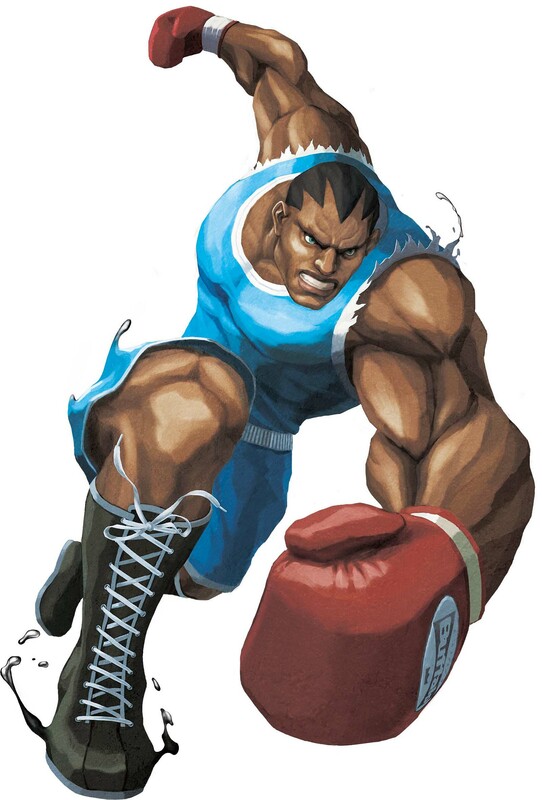 He returned in Street Fighter Alpha 3 and the Street Fighter IV games and is also playable in SNK vs Capcom and the Capcom vs SNK and SF X Tekken games. 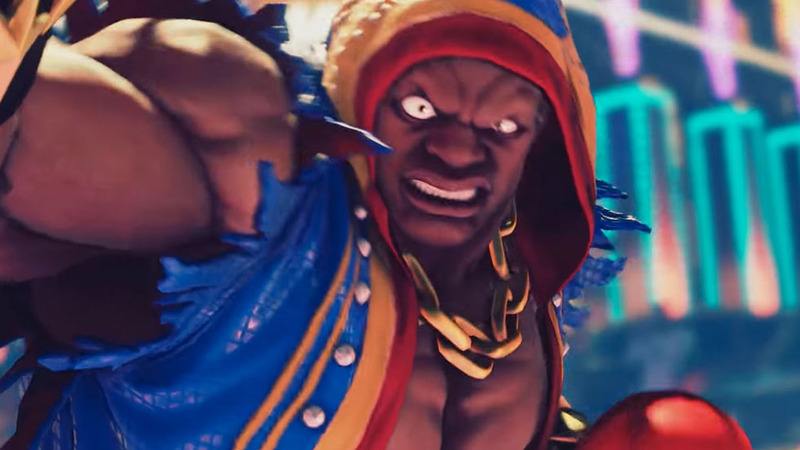 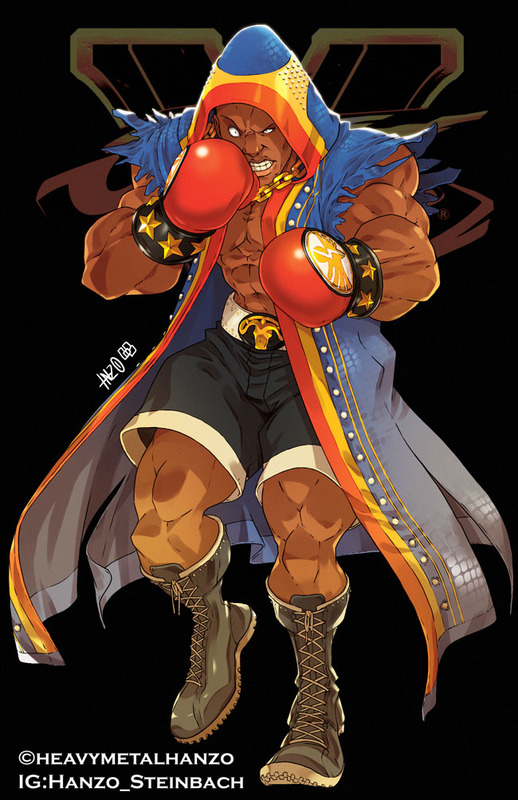 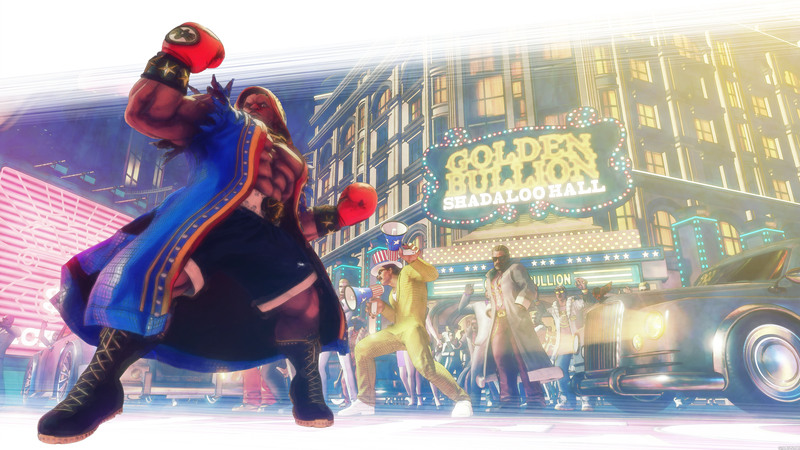 Balrog joined Street Fighter V (2016) as one of the 6 first DLC characters in 2016. 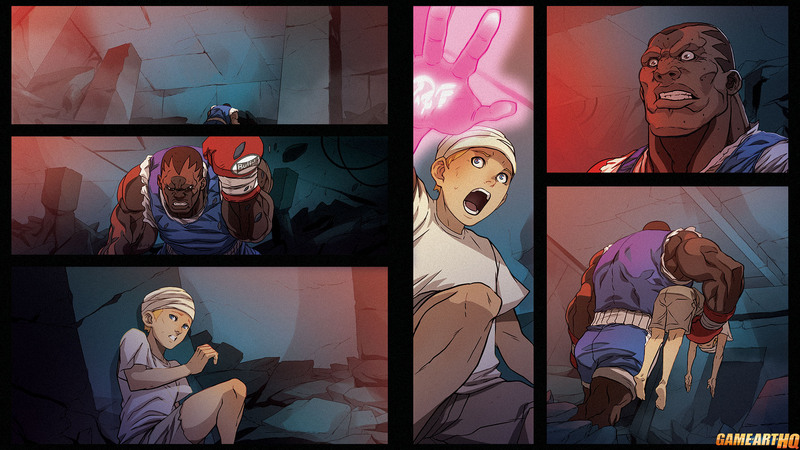 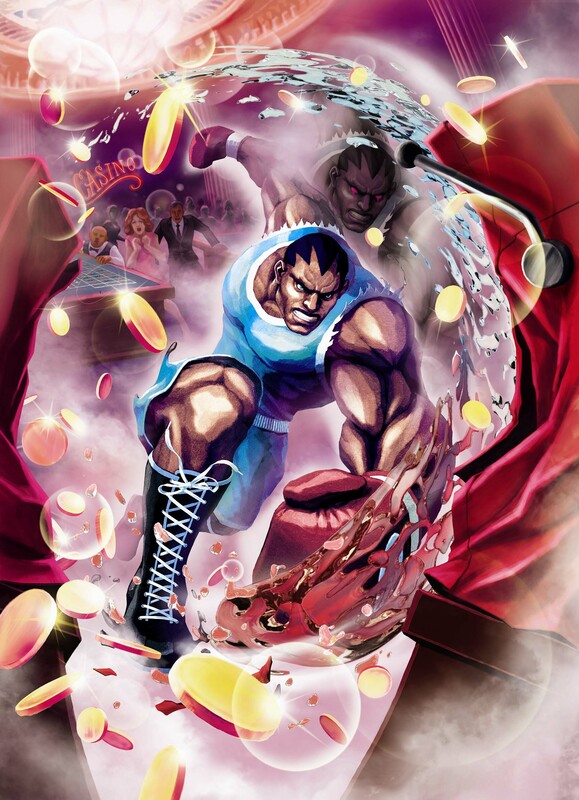 Like back in 2012, we organized a big art collaboration about the Anniversary of the Street Fighter series. 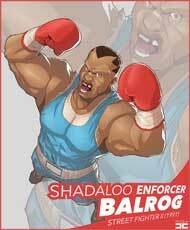 In 2017 we illustrated each character based on the different games they appeared in and described their roles in the Street Fighter games. 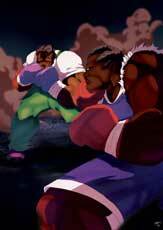 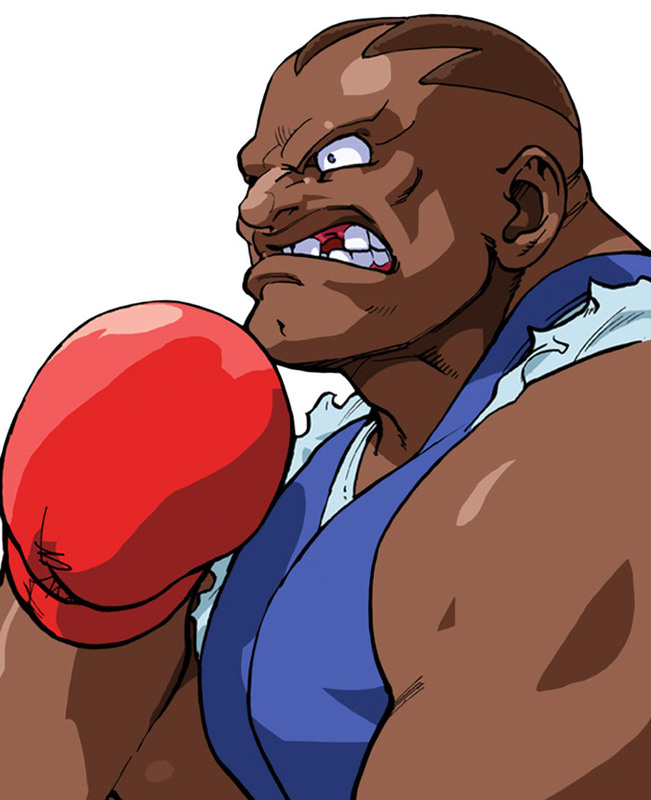 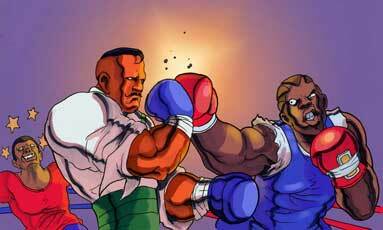 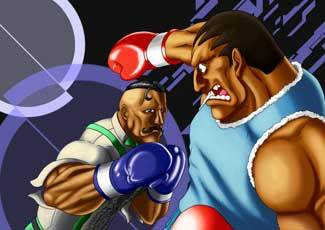 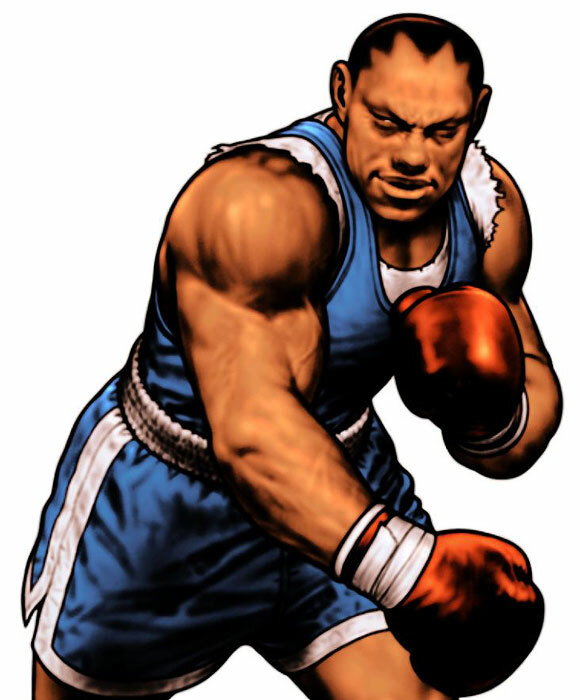 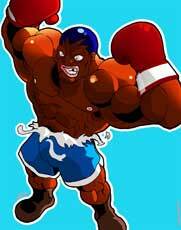 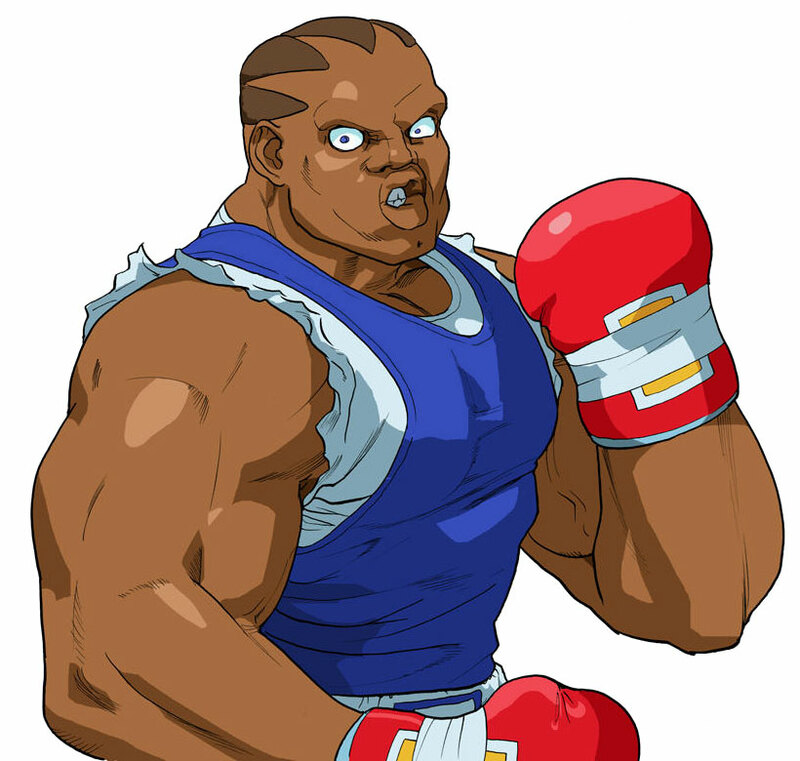 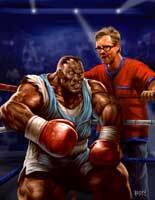 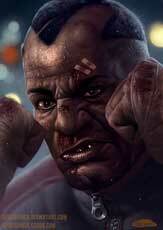 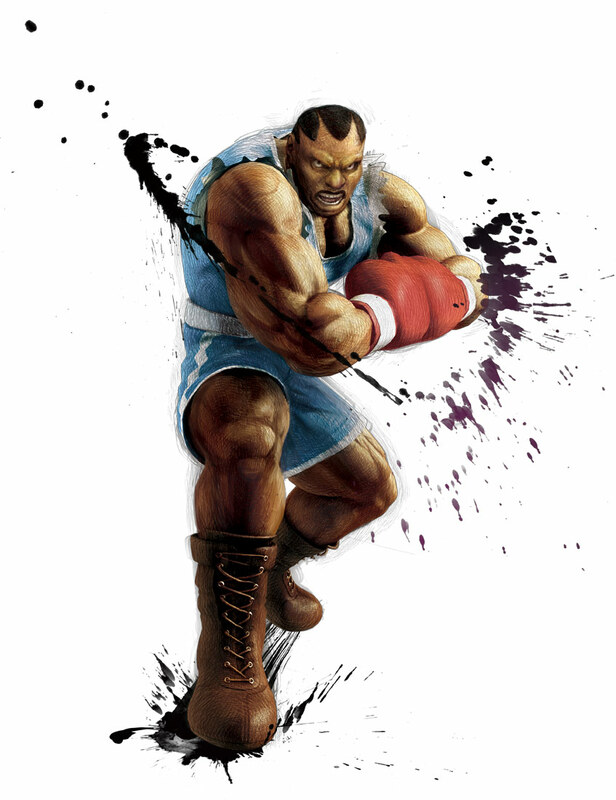 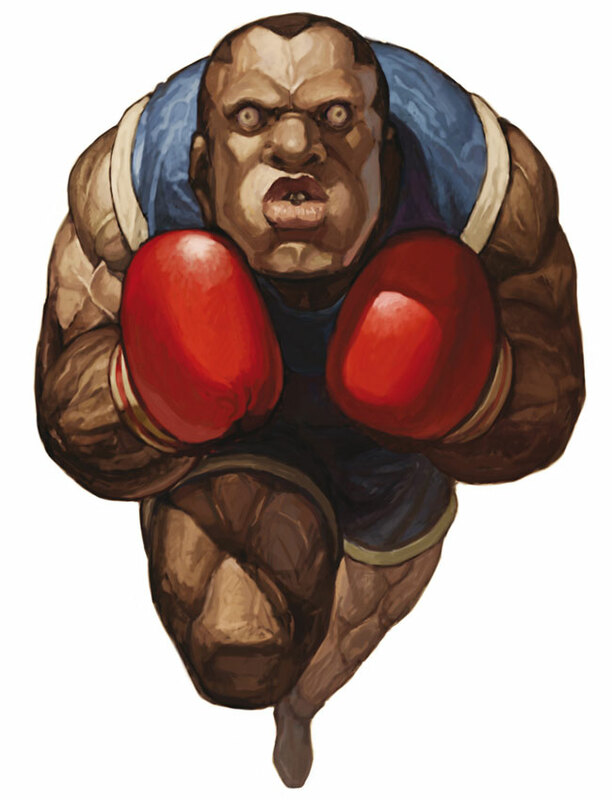 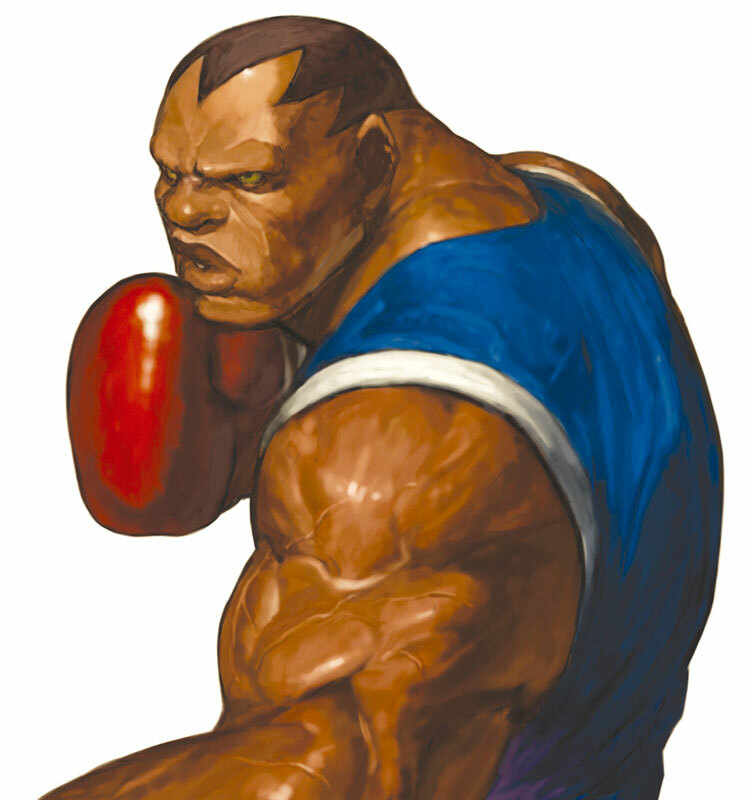 Balrog did not appear in Street Fighter III where Dudley, another Boxer from England who uses a very different style of boxing however replaced him more or less. 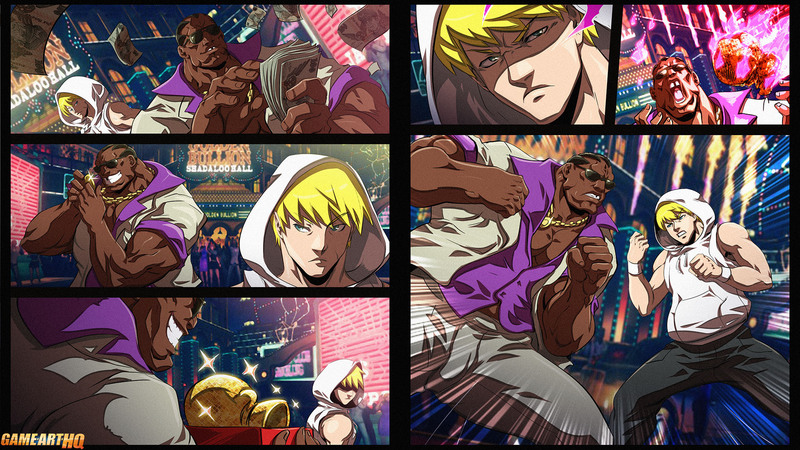 Since Super Street Fighter IV, these two can clash together in the games now, and fans like to illustrate this match.